But Tony Irace, sommelier and owner of Napo (and formerly on the front-of-house team at John Taylor’s Domus Café) has returned to Ottawa after some years in Italy, where he was working as a wine expert with Holland America cruise lines. He’s based again on Bank Street, this time further north and, as it happens, occupying the site that was Taylor’s Genuine Food and Wine Bar. It’s a compelling story: Irace taking over the kitchen space from his former boss. 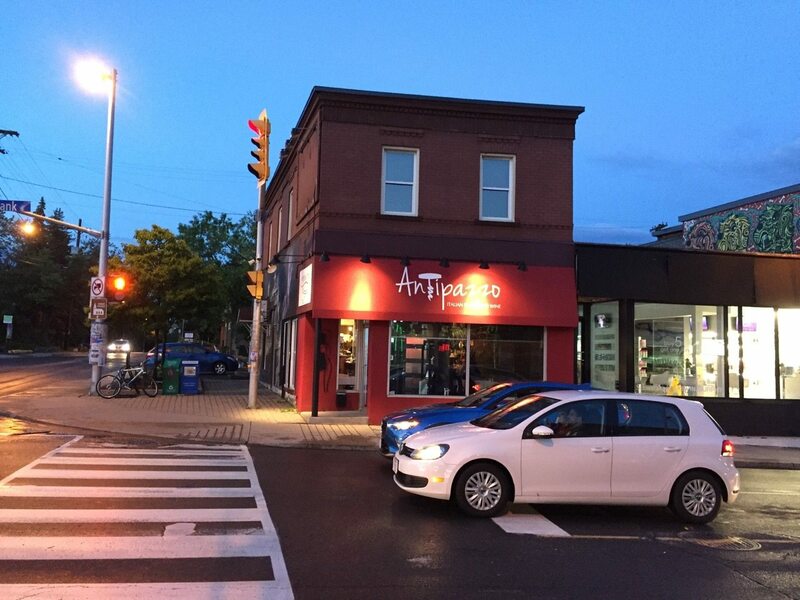 I was excited to check out Antipazzo Italian Plates and Wine, so with happy memories of Napo putting a spring in my step, I headed to Old Ottawa South. But high hopes were sunk, I’m sorry to say. I have left each of four visits feeling pretty glum. The space itself has been smartened up. They’ve mounted a cheery red awning and covered burgundy walls with brighter tones. Tablecloths are a rare treat; the white napery has been paired with red napkins that match jaunty bar stools and lights. The open kitchen remains, so Irace can watch the show, though there has been a change of personnel since opening last March. The original chef, Christopher St. Aubin, left the post, replaced, I was told at my first visit, by a chef from the recently closed Fresco Bistro Italiano. The wine list was impressive, but the meal fell short. Service was kind but amateur. I figured I’d give them more time to get sorted. Two months later, and still the under-trained service and underwhelming food remain. At my final visit, last week, there were two new-to-me faces in the open kitchen. Yet nothing rose above middling. What worked? 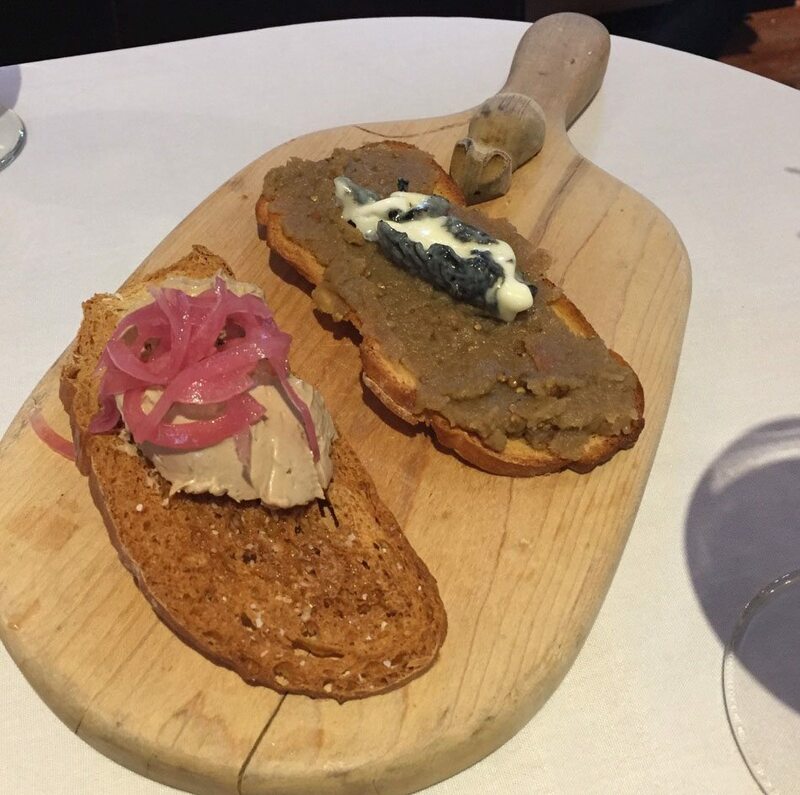 The liver mousse on crostini with pickled onion was acceptable. 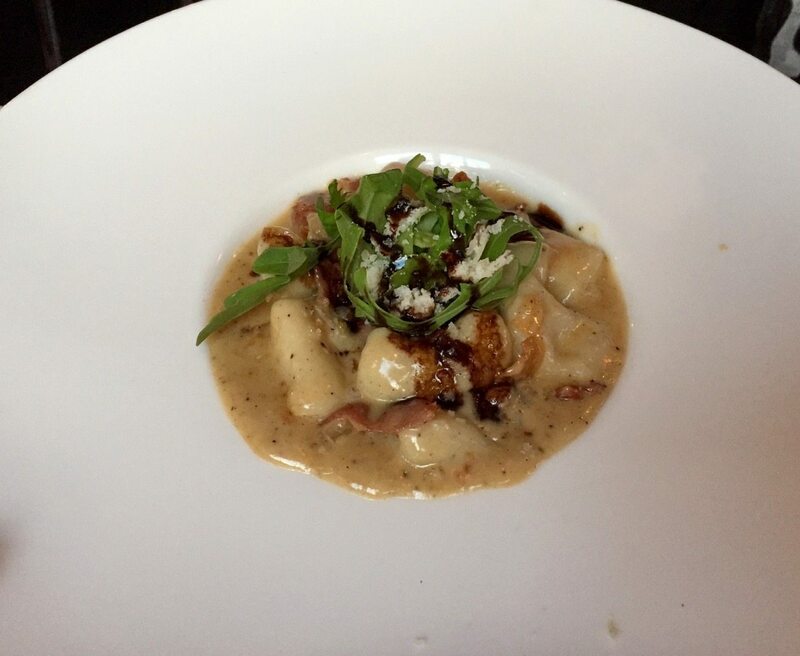 Gnocchi were well done – soft, comforting – but they were the impressive bits in an otherwise disappointing dish. A rendition of pasta carbonara (no longer topped with a raw quail egg as it was at a May dinner, the egg now added in the kitchen) was homey, creamy, and topped with arugula, which seems to top everything here. The tomatoes, served with pesto and mozzarella, were fine, as they should be in July. And I really, truly, deeply liked the panna cotta, all wobbly and milky and well perfumed, served with berry compote and stewed rhubarb. Otherwise, dishes swung between dreary and disappointing. The ravioli di casa, stuffed with bison and ricotta, was weirdly sweet. The risotto with mushrooms (ordinary button) was gummy, the rice overcooked, the mushrooms unseasoned. We liked the oil and the vinaigrette (a pear-balsamic) that arrived in a tastevin (clever for a wine bar), but the focaccia is forgettable. Gravlax should be supple, silky folds of cool fish. But at a June dinner it arrived as thick slabs of what seemed to be raw, unseasoned salmon, skin left on and impossible to cut. It came with an arugula salad, which was dressed too sweetly, and a seared scallop that was wildly salty. For a restaurant that touts the Slow Food movement, it seemed wrong to be see ‘raw ripe tomatoes’ in April or a fiddlehead soup in late July. And do I really need to be told, as a few dribs of balsamic are drizzled on my salad, tableside, that the bottle costs 50 bucks? There is work to be done before Antipazzo can be the neighbourhood restaurant I’m sure it wants to be. I’ll report back in a year.